With divorce accruing fees in many different areas, you may be overwhelmed at legal fees and what effect they are having on your life and finances. 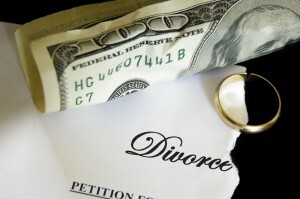 Does this mean that you can force your husband to pay for your legal fees throughout the divorce? Unfortunately, no, and if they are unwilling to help, this does not mean that they have to. This does not mean that you don’t have options, though, because technically the judge in your case could issue a court order to make them pay based on extreme circumstances. Let’s say, for instance, you are in a situation of poverty while your husband is in charge of all finances – in these cases, it would be unfair to make you pay for all legal fees. During a marriage, it is not uncommon to see a wife who earns very little to nothing every year. Sometimes this is due to a career choice that doesn’t pay as much as a husband, or because the wife is a stay at home mother. To pay for divorce, sometimes it takes hundreds of thousands of dollars, especially in cases where matters are extremely complex. Perhaps the divorce has taken an ugly turn and a wife is left with nothing during divorce because a husband removed his wife’s name from all bank accounts. The judge will take a look at these finances and the husband’s ability to pay, and they may require a husband to pay for the wife’s attorney and the divorce process. So, in what situations wouldn’t a husband be required to pay? Typically, this is seen when a wife can support herself in full due to employment or savings, and maybe even joint funds that are still being shared. The most important issue to the court is this: Do both sides have access to money? And then remember this: If you are a working wife and your husband makes less or nothing at all, you may be required to pay his fees as well – it goes both ways. 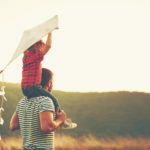 Divorce can be complicated, but it doesn’t have to be. If you believe that there are disparities to work through or a husband or wife is acting in bad faith when it comes to income and being able to pay legal fees, you may have a case and may want to see a judge about these issues. 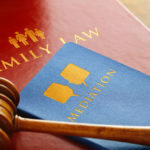 Call us to get started on the first steps in your divorce case.